We’ve all had sleepless nights. You toss and turn, get up and go back to bed, trying to ward off the claustrophobia of wakefulness. But what about the reverse? What if the problem is not that you can’t go to sleep, but that you can’t wake up? Gradually, the time you spend dreaming outstrips the time you are awake. The effects of this are not just psychological, they are physical: Your body begins to change in unsettling ways. Your senses withdraw inward, your skin becomes scaly and crystalline, your head elongates, and your nose, ears, and eyes gradually recede into a still living but barely human body. Attended by physicians at a hospital, your dreams get longer and longer, but the actual time you sleep is the same. These long dreams eventually span years, decades, centuries, millennia, and beyond, into an unhuman, timeless time. You wonder, “What happens to the person who wakes from an endless dream?” Finally, your alien body disintegrates completely, leaving behind only strange, unidentifiable crystals lying crumpled in a hospital bed. And then even this dissipates. 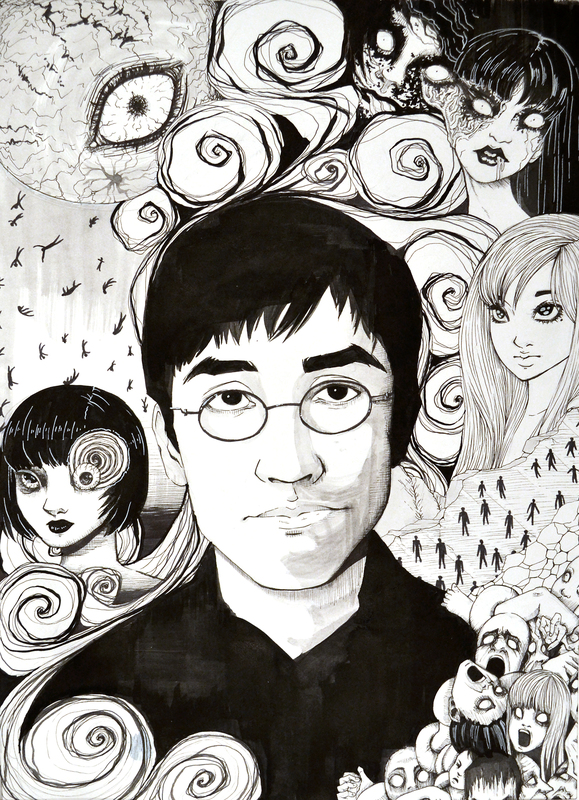 Welcome to the world of Junji Ito. The scene above is from Ito’s manga “Long Dream” (published in 1997 and later adapted into a TV movie). It exemplifies what makes Ito’s vision both unnerving and profound. The story takes a simple idea, which is then methodically inverted and perverted, until what results is a terrifying, mesmerizing, philosophical parable about the limits of being human. For nearly 30 years, Ito has been active as an author and illustrator of horror manga. In a medium oversaturated with conventions and formulas, Ito’s approach and vision is singular. Certainly, as an author and illustrator, Ito has his influences: he has mentioned authors such as H.P. Lovecraft and Yasutaka Tsutsui, as well as masters of Japanese horror manga Hideshi Hino and Kazuo Umezu. One can even detect in his work hints of Hieronymus Bosch or the much older tradition of the Buddhist jigoku-zoshi (hell scrolls). 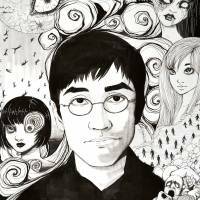 All these find their way into Ito’s work, but what makes Ito unique is the fascinating way he departs from the horror genre. Less concerned with the genre cliches of monsters, murder and high school melodrama, Ito uses the horror genre to raise disturbing questions that are metaphysical and existential — all with a touch of gallows humor. Ito’s best-known work is the three-volume “Uzumaki.” Appearing between 1998 and 1999, it was adapted into a film, and has recently been republished by Viz Media in a single-volume English edition. 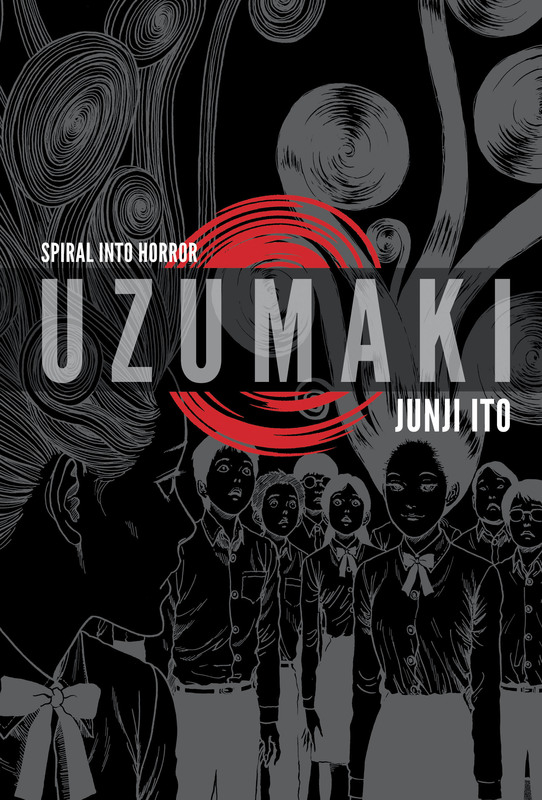 “Uzumaki” begins as two teenagers witness their home town of Kurozu-cho become progressively obsessed by the shape of the spiral, eventually driving them all to madness or suicide. The “spiral obsession” spreads through the town, and the abstract, geometrical shape is suddenly found everywhere, from the spiral-shaped grass on the hillside to the dizzying pattern in a bowl of udon soup to the swirling, rising black fumes of cremated bodies. Food, hair, clothing, plants and even the town itself, arrayed in a spiral-shaped row of houses, become so many vehicles for the spiral. By the third volume, the town of Kurozu-cho has become a massive spiral dwelling, composed of the impossibly contorted bodies of its inhabitants. In this, as in his other work, Ito begins with a deceptively simple idea, and then gradually and patiently takes it to its logical extreme, revealing a stark and impersonal void at the core of all things, from everyday objects around us to our very own anatomies. 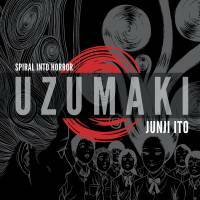 I don’t want to give away too much for those who haven’t read “Uzumaki,” but suffice it to say that by the end of the series the “spiral horror” takes on cosmic dimensions. As the spiral spreads throughout the town, crossing boundaries between the living and the dead, the animate and inanimate, the human and the unhuman, what drives many of the townspeople mad is this duplicity — the tangible presence of the spiral paired with its intangible abstractness. It is eerie and impersonal, menacing but indifferent. It appears to be everywhere and nowhere, infecting even the very thought of the spiral itself. In the 21st century — in the “anthropocene” as our human-influenced epoch has been labeled — we seem to be embedded in the world and estranged from it at the same time. And the most difficult thought is that the world, the cosmos, even our own bodies, may all be indifferent to our daily wants and desires. It is this indifference, this stark and shadowy blankness, that is both alluring and terrifying. And this is the terrain of Ito’s manga, where, for a brief moment, we glimpse something on the order of deep time and the scale of the unhuman. Eugene Thacker is the author of several books, including “In The Dust Of This Planet” (Zero Books, 2011) and “Cosmic Pessimism” (Univocal, 2015).